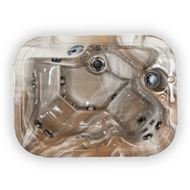 Traditional spas are customizable. Choose only the options that you require. 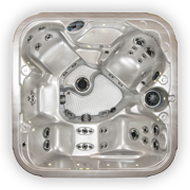 The The Comox spa offers seating for 4 bathers. 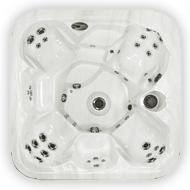 The small dimensions make it ideal for a balcony or small deck, where all seats are positioned to take full advantage of the view. The Fraser spa offers seating for 4-5 bathers. 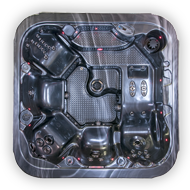 It is large enough to share with family or friends yet the deep contoured lounge provides luxurious full body relaxation for personal pampering. 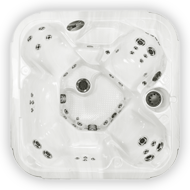 The Atlantica spa offers seating for 6-7 bathers. Big seating, big foot space, this spa feels like a swimming pool with jets. 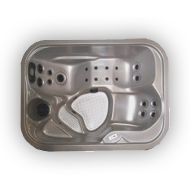 The design is ideal for young families looking for hot water fun as well as relaxation.